Do you have a problem pilot light? If the pilot light of your gas furnace, water heater, stove, or fireplace goes out numerous times throughout the year, you need to take action ASAP. You may be able to fix the problem yourself, but in some cases, you’ll need to call an HVAC pro for help. Start by troubleshooting the pilot light to see whether you can determine the reason for its poor performance. Draft. The commonest reason for a pilot light to go out often also has the easiest DIY fix. A nearby draft may be repeatedly blowing the pilot light out; you should rule this out as the cause by simply checking around to see whether there is a new draft in the area of your system. Seal any cracks in the walls and add weatherstripping to doors and windows nearby, as required. Dirt buildup. The gas supply line opening for your pilot light may be blocked with accumulated dirt and soot. Clean it out using a short length of flexible wire or an old toothbrush. After the initial cleaning, ideally this should be repeated every six months to keep your pilot light in top working order. Inadequate flame. The flame size of your pilot light most likely can be manually adjusted with a dedicated bolt or screw. Check the owner’s manual for your appliance or the pilot light instruction label, generally located on a wall panel adjacent to the pilot light. Not enough gas. Check your gas supply line; it should be set at “Open.” In addition, look at the pressure gauge to ensure you have enough gas left in your supply tank. 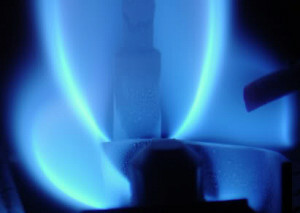 An insufficient supply of natural gas tends to result in either an inadequate flame or a pilot light that keeps going out. In this instance, you’ll obviously have to order more gas. Inefficient function. If your pilot light is burning but has a weak, yellow flame, it is not working efficiently enough. The pilot light flame should be blue, slightly tinged with yellow only at the tip — a sign there is enough heat to warm your water or your home. An all-yellow flame means the furnace or water heater won't get hot enough to heat the thermocouple to the point where it triggers the gas valve to open. A propane flame should have a bluish-green flame with a tinge of yellow at the tip. Faulty thermocouple. If nothing is obviously wrong – the pilot light stays on and burns with an adequate flame – but your gas appliance is still not working, you could have a problem with the thermocouple. Either the wiring needs to be adjusted or the thermocouple itself needs to be replaced. Be very careful when working with natural gas. If you’re not sure of what you are doing, leave the problem to a professional. Protect yourself and your family. Install a combination carbon monoxide-combustible gas detector if you use a gas burning appliance in your home.